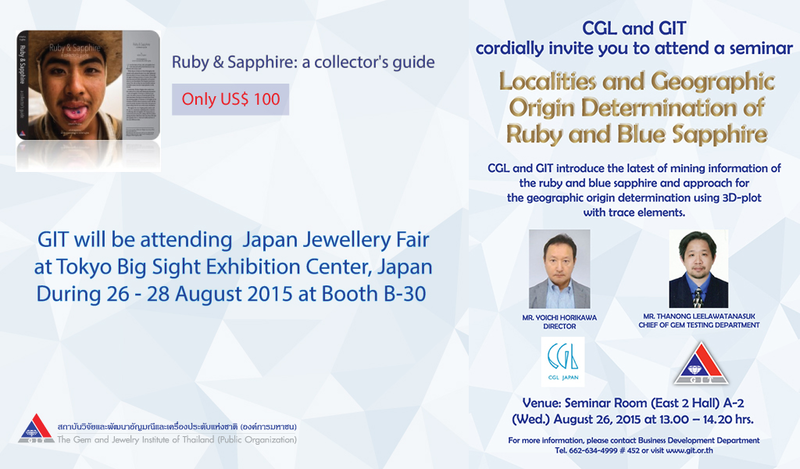 2016-01-26: The 1st Asian Gemological Rendez Vous in Bangkok with GIT2016!! 2013-10-10: Alert! GIT recently came across a counterfeit of our Gem Identification Card.